Ford Philippines’s consecutive year of record sales ended in 2018 as retail sales dropped to 23,571 vehicles from 2017’s high of 36,623. This 36 percent drop year-on-year can be attributed to the implementation of the TRAIN or revised new vehicle excise tax in 2018. However, not everything is bleak at the Blue Oval. 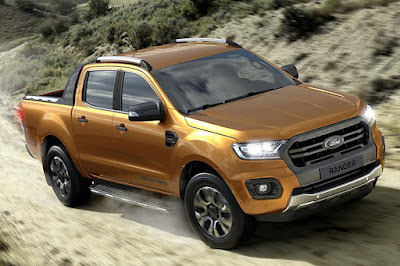 The American carmaker did announce that Ranger sales saw an uptick to 11,604 units. In December alone, Ford moved 1,230 units helping the Ranger finish with a 9 percent year-on-year improvement. 2018 marks the best year ever for Ford’s segment defining pickup truck. In addition, the Mustang also proved to be impervious to the new excise tax as the refreshed pony car saw full-year sales increase by 6 percent to 432 units (it sold 407 units in 2017). Heaviest hit by the TRAIN Law, the Everest mid-sized SUV sales dropped to 5,813 units from a peak of 12,455 units in 2017—or a 53 percent decrease. In December, Ford moved 407 units thanks to extensive sales campaigns. Also hit hard is the EcoSport sub-compact SUV. Despite a major refresh in 2018, it finished off the year at 5,024 units capped off by December sales of 221 vehicles. That’s a 55 percent drop from 2017. Despite the challenges, Ford continued to make strides in improving the ownership experience in 2018 by making its cost of ownership more competitive, effectively lowering costs for scheduled service maintenance across its nationwide Ford dealership network. The also continued the expansion of its dealer network last year with the opening of two new locations in Clark, Pampanga and Baliuag, Bulacan, bringing the total number of Ford dealers across the country to 48 outlets. "Heaviest hit by the TRAIN Law, the Everest mid-sized SUV sales dropped to 5,813 units from a peak of 12,455 units in 2017—or a 53 percent decrease. In December, Ford moved 407 units thanks to extensive sales campaigns." IMHO the EVEREST's demise is not due to TRAIN but due to overall DESIGN package... BLAND!...it's true value was evident when they lowered the price last December... and good luck to the after-sales servicing experience too! After sales service has been improve. they learned their mistake from the past. Everest owners are now experiencing shift shock as well as electronic problems with their rides. As far as I knew, no issues at all. Specially the incoming model. no numbers for the ford raptor?